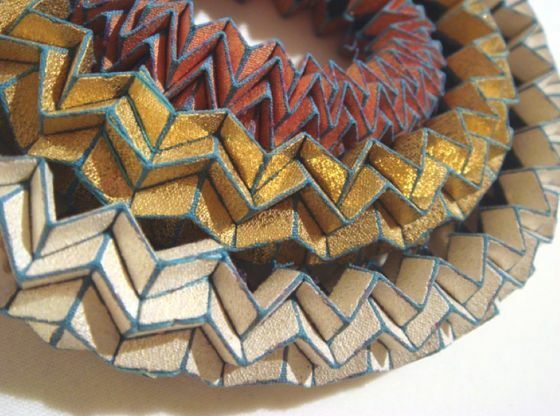 Tine De Ruysser is a belgian jewelry designer, with a degree at the Royal Academy of Fine Arts in Antwerp and a PhD and a Masters at the Royal College of Art in London. 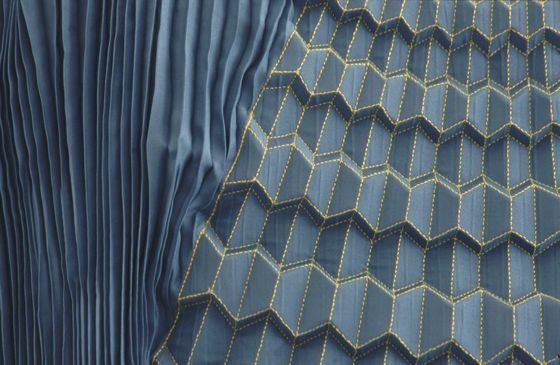 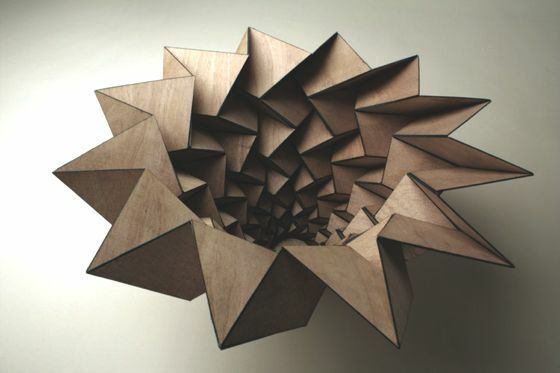 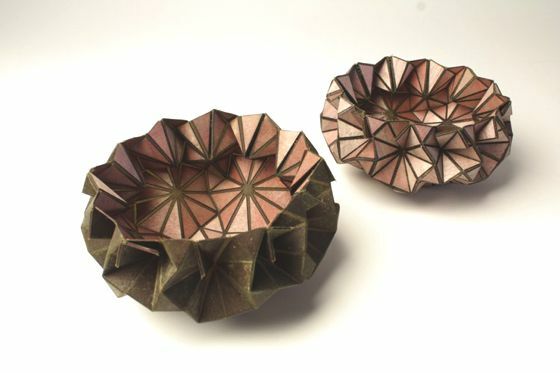 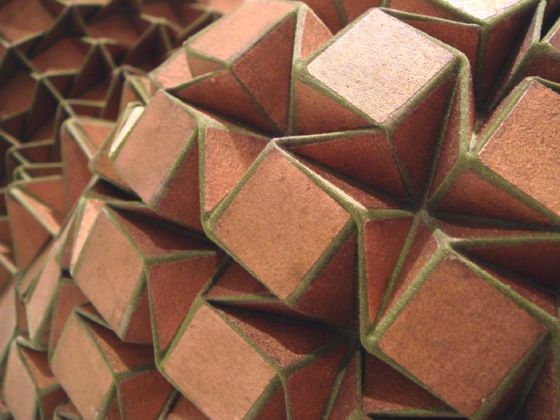 Her artistic research began with the study of a particular folding technique with metal and textiles, and was then deepened with the investigation of patterns and schemes. 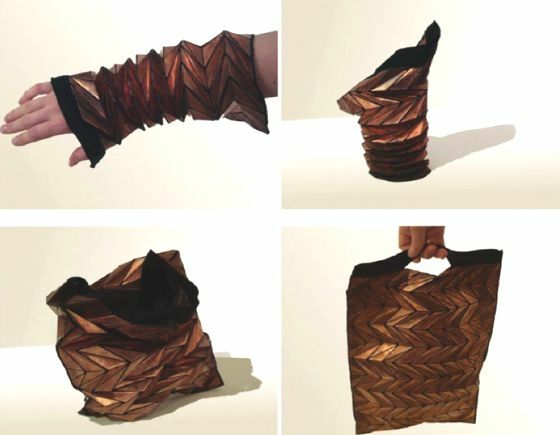 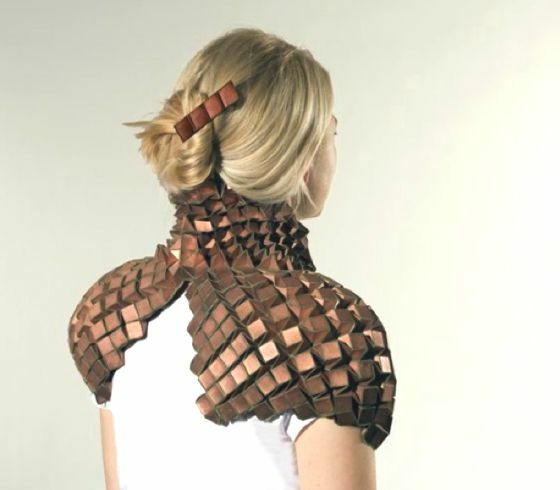 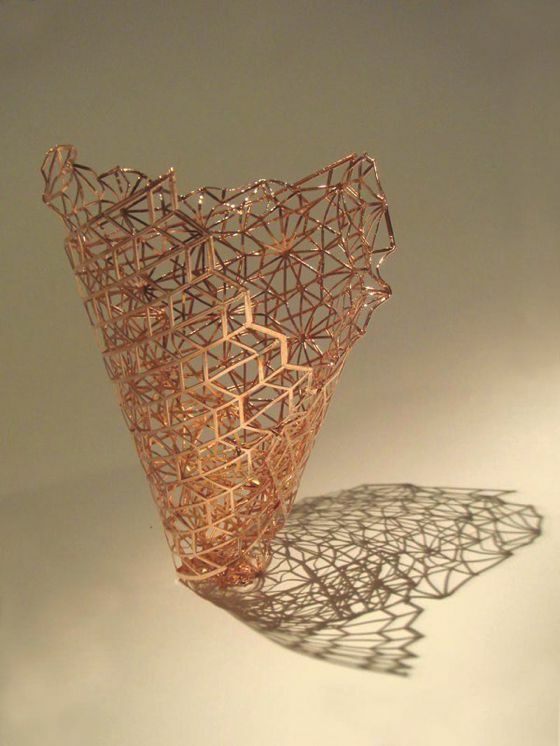 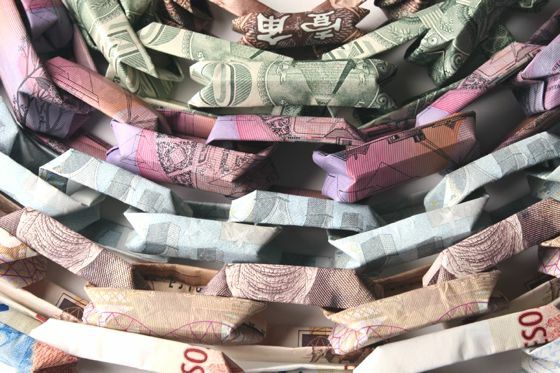 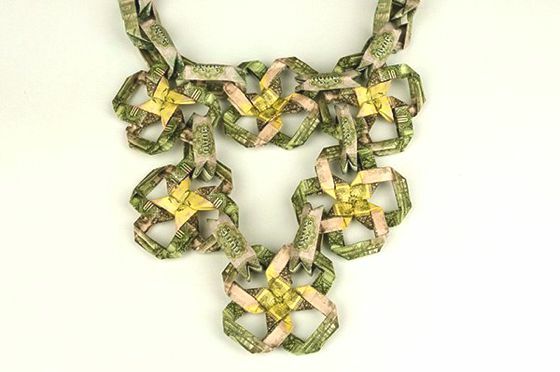 Her works are beautiful wearable jewelry-sculpture, sometimes with copper, sometimes with paper, fabric and banknotes. 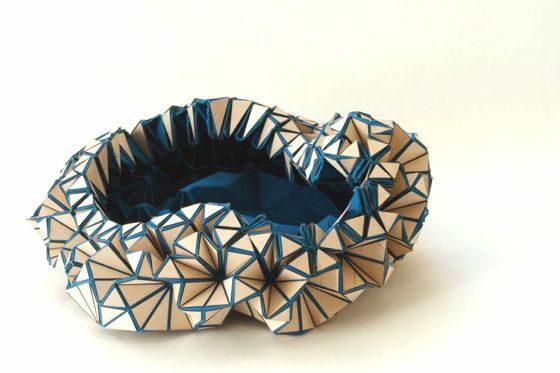 Tine, in addition to being a wonderful artist, loves to share their knowledge and experiences through her work as a university professor and her workshops.